We all like to catch pigs! Throwing streamers, dredging nymphs, or fishing midges on tailwaters can all produce those 17-22 inch hogs we love. The grip and grin (#keepemwet) is always better with a big fish! Equally fun, however, is a day on the river with friends throwing small dry flies to spooky trout on secluded small streams. Last weekend, I spent a day in Los Padres National Forest with Octave Zangs andJason Fitzgibbon. 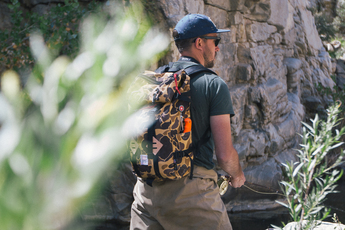 Jason is a master at finding small blue lines on topo maps that hold fish and had scouted a secluded little creek, far from any foot traffic or fishermen. Although Jason had fished here before, we were all unsure of the creek's productivity. 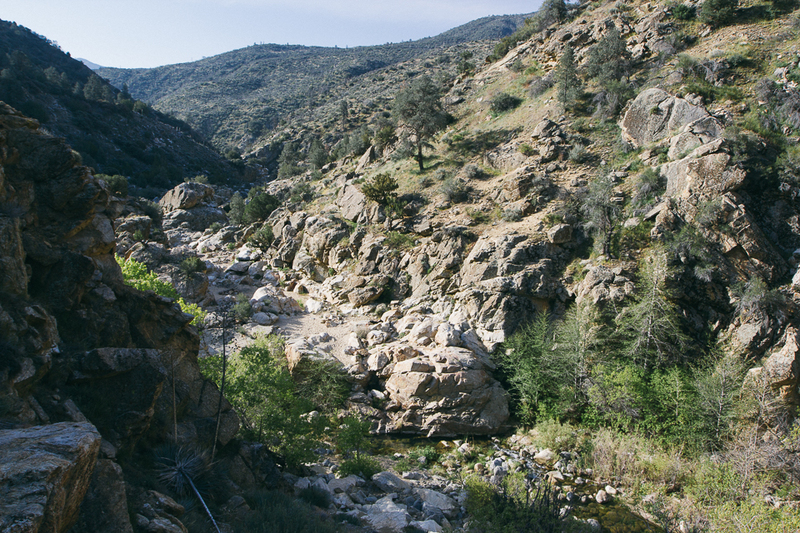 With years of sever drought under its belt, the creeks of Los Padres (and the rest of California) have been severely impacted. The longer we hiked down the canyon, the more worried we were. There were a few signs of fish, but not nearly as many as we had hoped for. To make matters worse, the first few runs and riffles we fished were completely void of any takers. As we worked our way back up the drainage, we changed tactics and started throwing small yellow and red humpies, a fly I never fish. 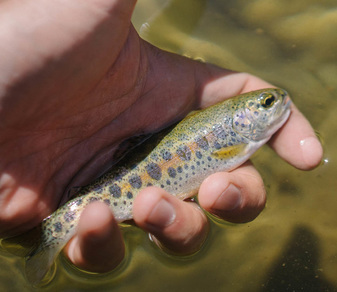 The bushy dry flies were floating high and the small Costal Rainbow Trout (The third heritage tout to be featured on the blog) began to rise! 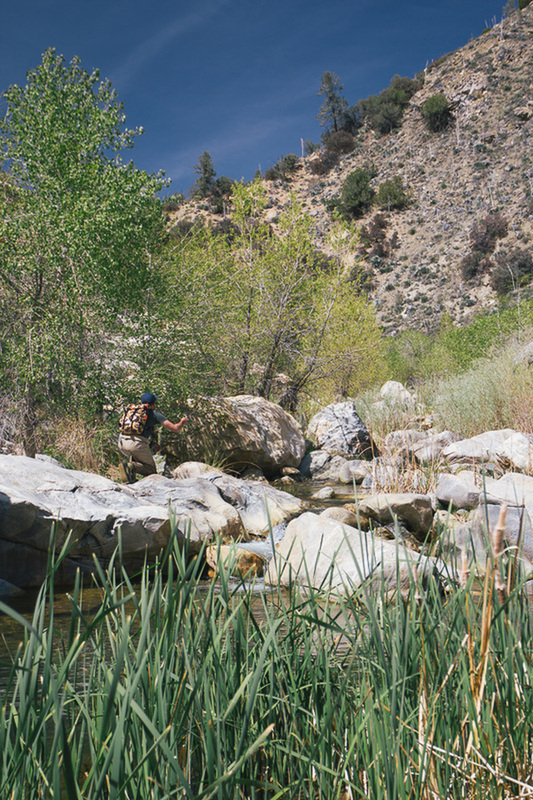 As with any small stream, it's imperative that you find the deep cold water, where fish tend to hide, and use as much stealth as possible when making your approach to the river. Fishing small streams can be a ton of fun because of this. The biggest challenge is usually keeping your backcast out of the trees. Once we locked on a pattern, the fish came easily. 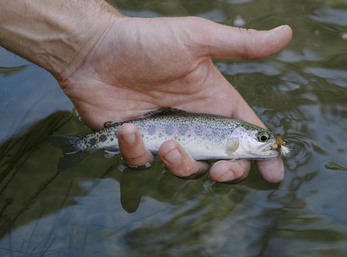 In total we landed 40-50 fish, all small native trout who've probably never seen a dry fly. They weren't pigs, but they were a lot of fun. 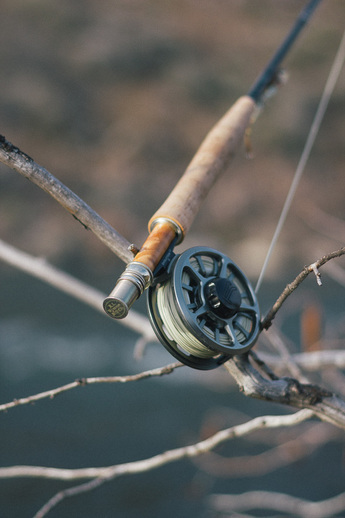 At times, it's the adventure, friendship, and fast action of small streams that lures us away from the bigger fish. The different perspective a small stream gives you can be rewarding and fun!